Join TrafficCast & Technical.ly for this Idea Challenge and networking event! $10,000 in prizes will be given out to winners during the event on Wed, June 27th. Happy Hour drinks and food will be provided! You can find information on the challenge here, including rules and data samples from the TrafficCast API. When you're ready to submit your pitch idea, you can Register Here. All submission must be entered by end of day on Wednesday, June 20th. 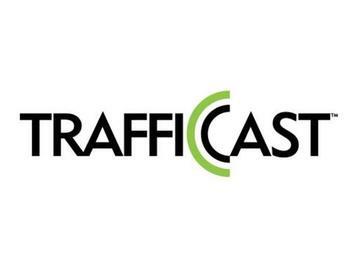 TrafficCast International is one of the leading traffic data and technology companies in North America. They power or supply information to almost every traffic or navigation source you encounter (apps, web, dashboard navigation, TV, Radio…). and strive to leverage technology and their data intelligence to get travellers to their destinations safer and faster while minimizing the negative impact on the environment. The challenge will be fresh designs and innovative ideas to power a consumer facing mobility solution for commuters and daily travellers. Individuals or teams can pitch ideas for how to utilize this data in new and innovative ways. Pitch ideas should be submitted by Wednesday, June 20th. Finalists will be selected in advance to pitch your idea in-person at the event. Everyone is welcome to attend to network with like-minded individuals and listen to the pitch concepts day-of. Drinks and refreshments will be provided! What kind of tool would be helpful for your daily travels? What features should it include? How can we best balance driving centric features with driver safety and mobile distractions? What can we do to differentiate from other similar apps? What would make users switch from other similar apps? What can we do to drive adoption? What can we do to drive daily use? Here are data-points that you can leverage in your design. You don’t have to use all of them. Each feature opportunity may come with positive user benefit of negative user ramifications...balance accordingly to fit your vision.